in search of Romanesque shades part 3 – RV Cheaper! January 30, 2016 January 30, 2016 RV Cheaper! 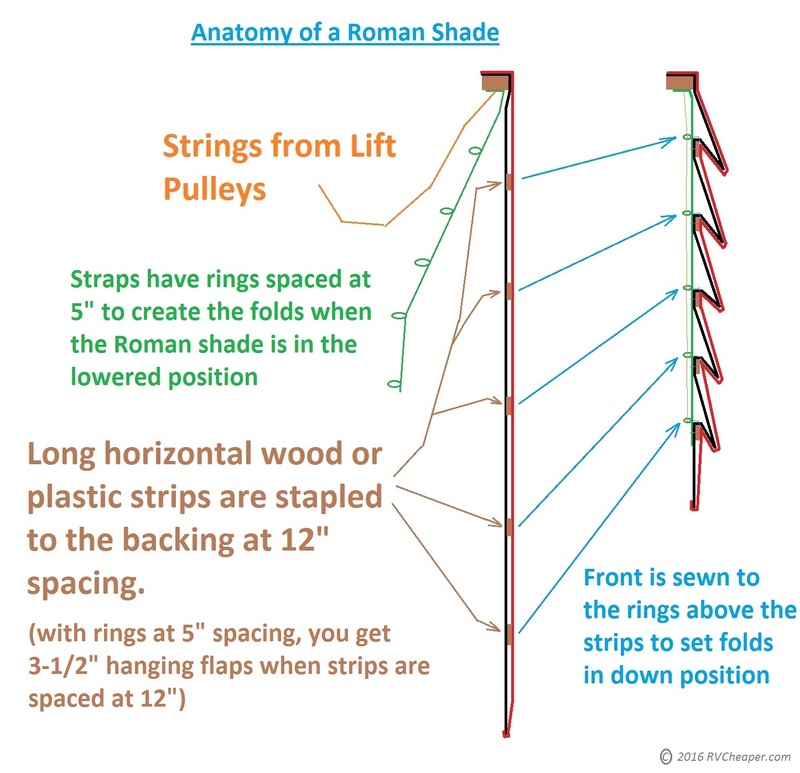 After dissecting the old shade, measuring, sketching and re-sketching a few more times, this is what we learned on how to make a Roman Shade. 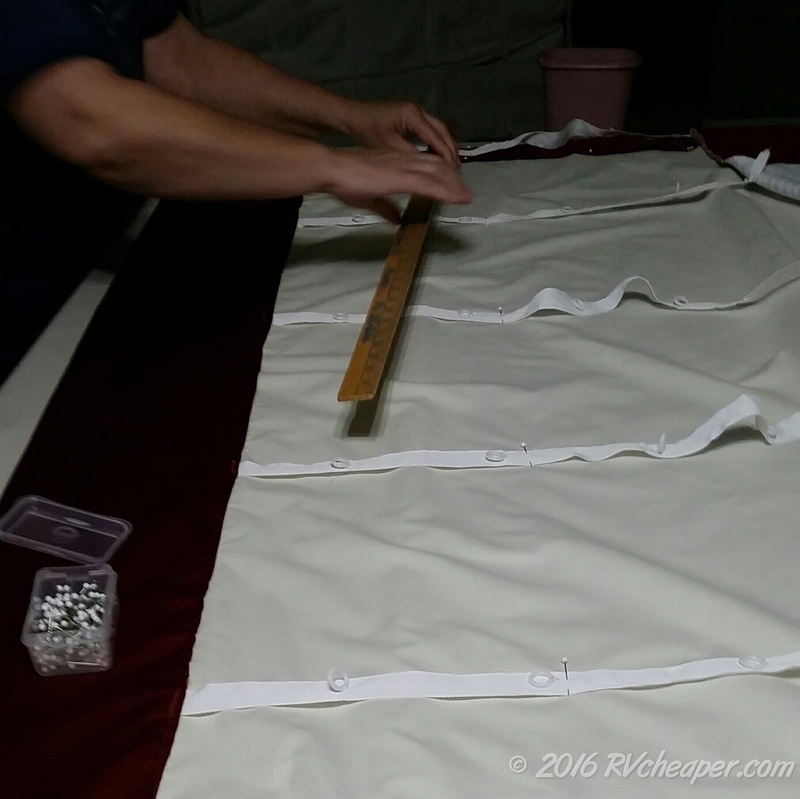 Here’s the initial size with all of the hems she could do before we inserted the horizontal stiffener strips inside. 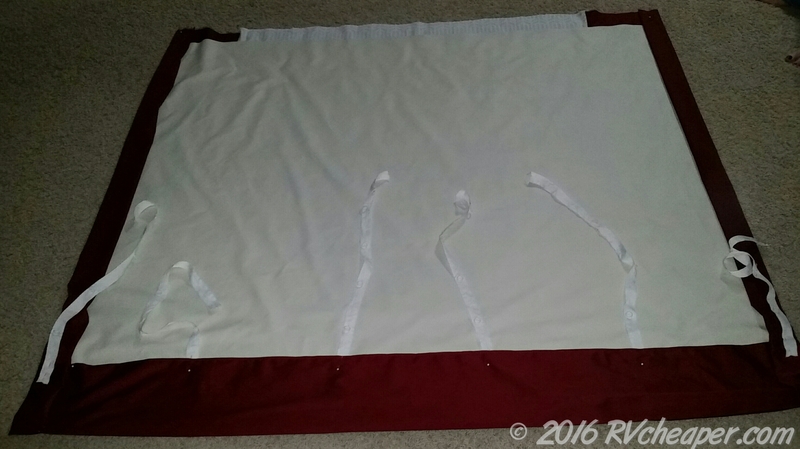 The hanging straps are sewn in on the top but have to be stapled into the top rail and hand sewn to the front after strips are attached. Took a few tries to figure out the right assembly order! Measuring where the staples go so they are near the straps. 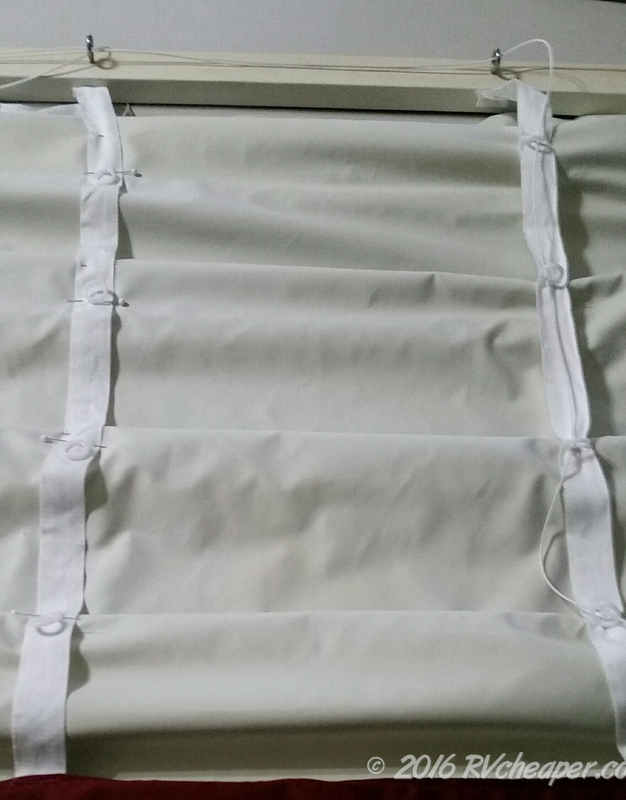 The straps will prevent the staples from pulling out which would cause all of the strips to fall to the bottom of the Roman shade. With all of the strips stapled in, now Alice pinned the strap to the back where the rings need to be sewn through the backing and onto the front of the shades. Once the rings are sewn on, the folds will be evenly spaced on the front. Last, we stapled the top of the shade onto the top rail. Added a silver grommet for the pull strings and it’s ready to install! 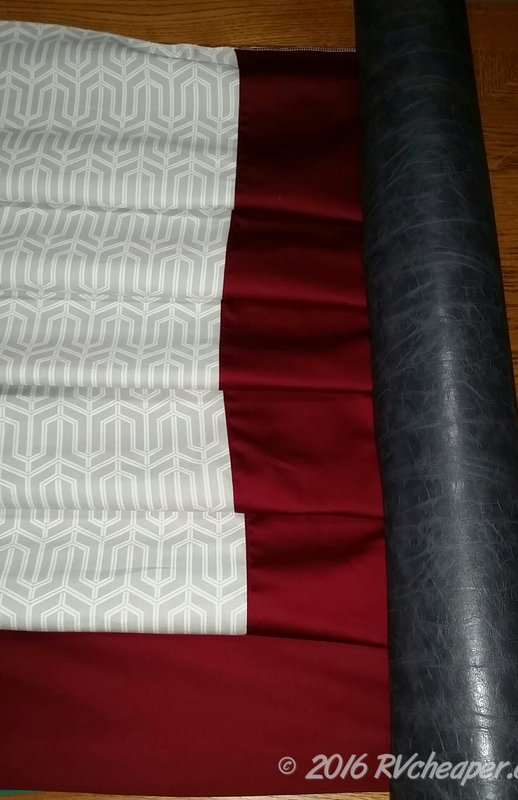 Here is the gray vinyl that we are going to use on the valances, once they are recovered I can install everything into the bedroom of the RV. Great work you two! Love the print. It is going to look good!